It’s been a whole ‘cross season since tester Beth Hodge received the eye-scorchingly bright CruX. How has she got on? It’s been a cracking little pocket rocket this bike; from taking me down some of the ridiculously steep stuff at the 3 Peaks Cyclocross race to the regular Sunday churning through the mud, snow and sand of various UK cyclocross league meets. There’s been a few of these zingy candy pink Cruxes popping out amongst the grey winter skies. Could the Crux be to cyclocross for Specialized what the Stumpjumper was to mountain biking? Possibly. But the modern way is increasingly expanding line-ups, with the Big S boosting their gravel range to include the Diverge and Sequoia to cover some of the do-it-all bases. 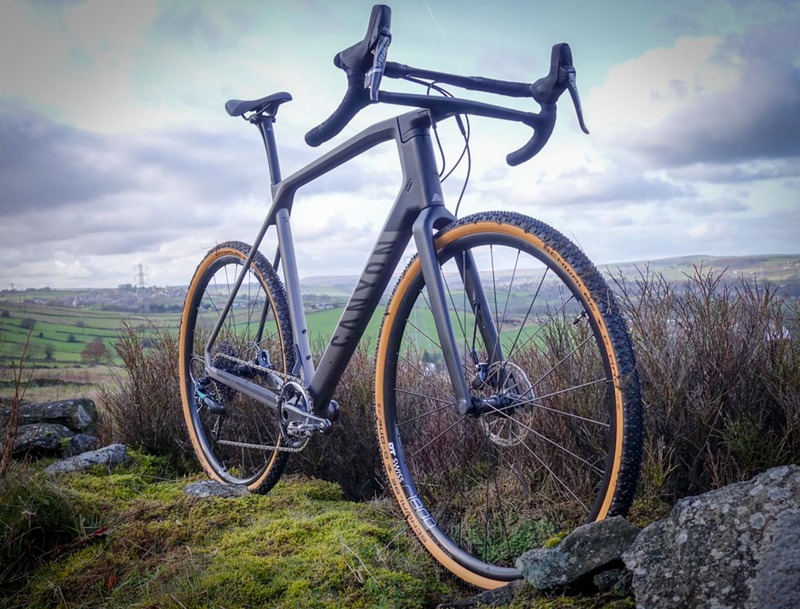 The Crux has been able to slip on its ruby racing slippers and get down to serious business at the sharp end as a race day special that should still be capable of a wee bit more than strictly between-the-tape action. I’ve been ride and race testing the CruX Elite X1 since August 2017. After testing a Trek Boone 7 last season, a similar placed bike in this price and performance bracket, it’s been good to compare the two. The Elite X1 sits one below the top bike in the 2018 Crux range. There are four CruX models for 2018 – two carbon, two aluminium. 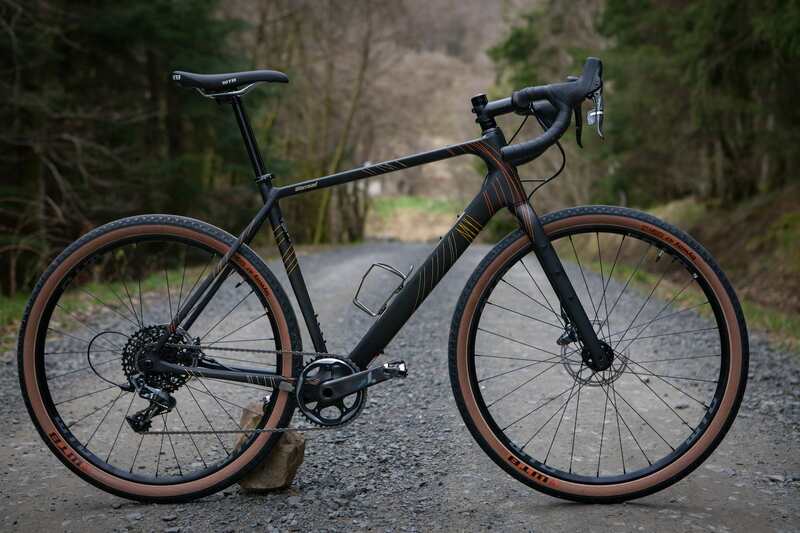 The Elite X1 retails at £3,000, with the top model in the range, the CruX Expert retailing at £3,900 and the entry level bike, the Crux E5 coming in at £1,300. An S-Works Frameset is also available for £2,500. The Elite X1 only comes in the Gloss Acid Pink and Tarmac Black colourway, but would you really want it in any other colour? So, the Elite X1 is the cheaper carbon option available. I say cheaper, as let’s face it, £3000 is still no small amount of money for a bike. It’s fair to assume that a good amount of this investment goes into the frameset. For a bike that is all about going fast, weight is key, and the CruX Elite X1 weighs in at a claimed 900g on a 56cm frame. This, Specialized say, is 400gms lighter than the previous frameset – near enough a 30% weight drop. The frame (and matching forks) is made up of the Specialized FACT 11r carbon layup, which, apparently “takes advantage of the highest quality carbon production methods in order to create a bike that’s as responsive as it is lightweight”. There we go. The Expert uses exactly the same frame, but steps things up groupset wise. You pays your money, you takes your choice. This is an out and out carbon racing machine. Not that carbon is the only material to be considered for racing, but it is incredibly difficult to create a bike with the same weight/stiffness equivalent out of any other material. One of the other benefits of carbon is its ability to be shaped way beyond the possibilities of metal tubing. More on that later though. Unlike some other dedicated carbon racing rigs, this bike does come with bosses to hold two bottles –which is handy for doing everything else outside of that one hour a weekend. You know, stuff like training, longer racing and just going for a ride. Specialized has made the most of shaping that carbon, using a chunky bottom bracket area and chain stays for stiffness, then slender seat stays, boosting clearance and comfort. In a change from last year’s model, Specialized has designed the frame to forgo a seat stay bridge altogether, providing even more clearance. It’s completely worked this season. With a 33mm tyre on, there is still 8mm of clearance left to play with. 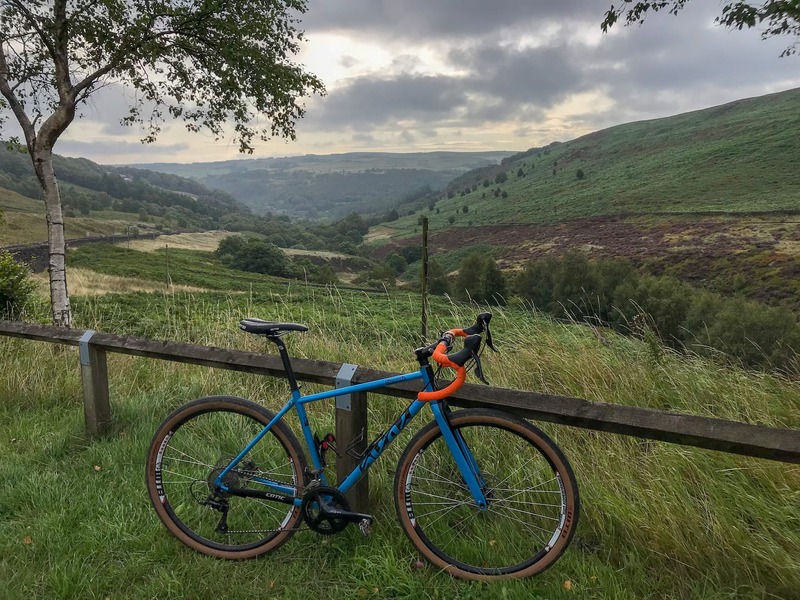 Fitting a 40mm in dry conditions for longer trips again nudges the CruX into do-it-all territory, regardless of whether there maybe other bikes in the company’s range that may be more suitable. Specialized has clearly spent some time to design in as much functional comfort into this race bike. Gone are the days that ‘cross bikes were brutally stiff and left you battered and bruised. Even in a short race, more comfort means less energy spent on just keeping the bike moving, more on racing. This is a Very Good Thing. So, as well as those slender, flattened seatstays, Specialized has dropped the seatpost collar by 2cm which in turn exposes more of the seatpost, enabling more vibrations to be soaked up through the post (interestingly, Specialized has also dropped its CG-R seatpost from the CruX range, presumably to save weight, and because its other innovations have made it largely redundant).. In fact, it’s a bit of a misnomer to say that Specialized has lower the seatpost collar – they’ve got rid of it all together. The clamp is now integrated into the frame – which seems to be becoming more of a feature on Specialized builds. It keeps things look pretty smart but also on a more practical note, knocks off a few grams and leaves less to catch your legs on when hopping on! With a flatter underside to the top tube shouldering is super comfortable. The smaller frame dimension caught me out a few times when first shouldering at a relative speed [note that Beth was riding a 52cm frame – Ed], it’s definitely more compact than the previous bikes I’ve been racing (an alloy Canyon Inflite and the Trek Boone) but it only took a couple of sharp elbow bangs to not do it again. That acid pink gloss paint has withstood some serious beating up. There is not a single scratch on it which is pretty incredible. The only suffering that the frame has seen is to the rubber chainstay protector, which looks like it’s been smudged across the stay. I’m really nit-picking here though, to have a bike six months on that still near enough looks like it’s just come out of the box is a total win. The CruX comes equipped with SRAM Rival 1x, which sits just behind the top tier groupset in this range Force. One-by is becoming many a rider’s first choice for off-road riding of any sort, not only for the lack of faff, but losing a front derailleur means another part stripped off the bike. Add into that the mud gathering capabilities of a front mech and that they always seem to go wrong at the worst time when ploughing through the muck. In my opinion, one-by in general and the Rival set up in particular provides near enough the range of two-by so much more simplicity. This bike has been genuinely tested over the hard and fast early season races right to the downright questionable bogs of Scotland in February and the sandpits in between. It’s been the courses through the depths of winter where I’ve been incredibly impressed with the consistency of the shifting. When long grasses meet claggy mud a game of Russian roulette commences with the rear mech. To change gear or not to change. Often when you’re blowing like Thomas the Tank Engine and doing all you can to stay rubber side down the last thing you want to have to think about is tactical gear changes. Needless to say I don’t have the capacity to think like this and luckily Rival handled every snatched shift extremely well. The wheels turned, the chain stayed on and the gears changed all season. It’s not often talked about, but the clutch mechanism (and more importantly the release switch) is a wicked bit of kit. When engaged, the chain stays where it should be, but push the button and rear wheel removal/replacement is so much easier. The frame uses the increasingly standard 12mm thru-axle system [I don’t think we’ve had a single bike through the grit.cx testing turnstiles to use anything else this year – Ed]. Again, bolt-thru axle help give the much-needed rigidity for a tightly taped cross course for power transfer between the frame and the wheels as well as helping resist any twisting forces from those disc brakes. There are some general benefits to thru axles. They enable a much more consistent placement of wheel fit into frame and fork helping eliminate rubbing pads and the associated very sore ears. They are safer to use, removing some risk of user error when tightening. It might not quite be the new standard, but certainly on new bikes focused on performance it’s pretty much now the norm. However, running one bike over the cross season, with a set of pit wheels, I had some concerns about the practicalities of running this in a race situation. The axles that the bike is supplied with come without quick releases. Touch wood, I’ve had no wheel issues or punctures so far this season, but if I was having to make a quick wheel change I’m not sure how this would go with this set up – with no quick release system a 5mm key is needed. Not ideal for adrenaline pumped racers trying to fiddle with tools and get back out on course ASAP. Of course after market thru-axles with an integrated lever can be bought, but it’s an extra cost to consider. Generally, I think it is probably a little slower to change thru-axles wheels than their QR counterparts, but with practice there is probably only seconds in it. The Crux Elite X1 comes with the Specialized Roval SLX 24 disc wheels. These are an alloy clincher but don’t let that put you off if you’re a carbon junkie. These wheels (say Specialized) were made with this comparison in mind. The combined weight is 1,515g. Compared to say a set of Zipp 202 carbon wheels which are spec’ed at 1,475g, there’s little in it. Food for thought. Add in the fact that many died in the wool ‘cross racers will want to run tub wheels, the Rovals look like a sensible option as a training/spare wheelset that will happily do race duties if needed. I’ve not yet made the switch to tubulars, but the 24mm wide rim has been more than wide enough to cope with my old school method of still running tyres at a low PSI with those tube things in them (I will change this very soon)- the last race saw 22psi in the front and 24psi in the rear, much to the horror of team mate Steve. It held, but I was a bit more careful than usual over some rooty sections. The Rovals are proper stiff and ride really well, all in all a great wheelset to come with this bike. Tyres supplied with the bike are the Specialized Terra Pro 2Bliss tubeless ready, 700 x 33mm. They are a great all-rounder, and have been particularly nifty on the slippy stuff. Even though the tyre can only perform as well as the rider can handle them, I will say that these tyres have given me more confidence this season cornering. They clear the muck really nicely whilst remaining fast moving over the harder stuff. All in all a really solid set up between wheels and tyres. We’ve focused a fair bit at the kit that keeps this bike moving, but what about the kit for the stopping department? Unsurprisingly, the bike is specced with SRAM Rival hydraulic disc brakes. Put simply, the system worked beautifully. There was no need for hard hauling on the brakes, and the stopping power allowed me to leave scrubbing speed at the last moment before taking a corner. Less time thinking about braking and more time thinking about line choice and subsequent escape from a corner is, again, a very good thing. It’s no surprise that canti brakes are becoming a rarer sight at races now. The brake hoses feature SRAM connectamajigs – meaning that it is easy to swap between Euro and UK style braking set ups. Not that many will ever do that. As it is they add marginal weight and take a little away from the clean lines of the rest of the bike. The 2018 CruX uses a flat mount set up – which functionally changes little, but is well in keeping with the overall smooth appearance. If you are buying frame only, factor in some adaptors if you have older brakes. It’s a compact frame that is unashamedly pointy on the front end. The aesthetics of the forks are given an additional boost with the internally routed front brake cable, keeping everything tidy and the forks super streamlined (in fact the frame is internally routed too). This is a win looks-wise, but more importantly, practically useful in ‘cross, where it helps to remove any potential mud-catching surfaces. Having used this bike for several races over varying types of cross courses this season, it’s clear that the bike is built for the job. Its sharp handling can catch you out at points; something I’ve definitely noticed compared to the much more relaxed geometry of the Boone. It’s almost forcing you to learn to ride a bike better to get the most out of it. Careering down the rock-strewn paths of the 3 Peaks was a sharp introduction to the fact that the front end could, if you’re not careful, really catch you out. Not so much of an issue over standard issue cyclocross courses and weekend bridleway bashing however, where that sharpness meant accuracy and crisp steering. This bike feels like it has something to give, always, whether loaded with bike bags or stripped down for the job it’s primarily built for. The power transfer throughout the frame is excellent – with not much effort at all the bike responds to the rider (yes, me!) incredibly well. The power transfer is tangible, with every watt I produced seemingly transmitted to the race course. Looks aren’t everything but I’m pretty sure you would be swiping left immediately on seeing this beaut, vital statistics can follow later. I’ve seen stacks of these bikes at various races this season, maybe they just stand out more but they seem to have been a popular choice on the circuit. All in all the bang for your buck is pretty high. It’s a solid race machine with fast handling without that “juggling knives” feeling. The Crux has coped with everything I’ve thrown at it and come out on the flip side looking as good as new and ready to go again. Going thermonuclear. The CruX lights the way even when the sun is setting. Beth Hodge is a SRAM brand ambassador. Her comments experiences of the SRAM products on this test bike mirror our own experiences at grit.cx over the course of several years of using SRAM Apex/Rival/Force groupsets – Tom Hill (Technical Editor).